DON LEMON, I love you... but Howard Stern hasn't jumped the shark. This bullshiz on CNN tonight has me a bit poopypants and I'll be honest about why: It's ridiculous to say Howard Stern has jumped the shark because YOU feel he's talking about AMERICA'S GOT TALENT too much on his SIRIUS XM show. I just watched this CNN story and it's whack. Sure, Howard had his lawsuit tossed... but that has nothing to do with his ability to move an audience or to command amazing conversations. For you to bring this up --- and YOU know who YOU are ---- is wrong. Howard had a right to call out this Judd whomever the eff he is. The conversation was lame. It was about some movie with some actor. Howard isn't about rules... that's why he can talk to Benji Bronk and make it amazing. He "gets" how to weave it all together. Maybe he's psyched that he's about to be introduced to the MASSES on this more family friendly show... maybe he's psyched that he's about to bring to so many nightly the next evolution of his talent. It's HIS show... he's earned the right to talk about whatever the eff he wants to talk about. Period. 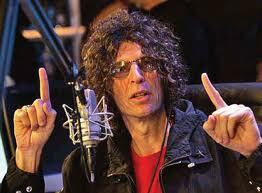 Long post short: Get off Howard Stern's balls. He's earned what hes' got. And he gets to do it his way. Its the truth, Stern is irrelevant! I stopped subscribing because his show is now a Hollywood gossip gabfest rather than a comedy show.